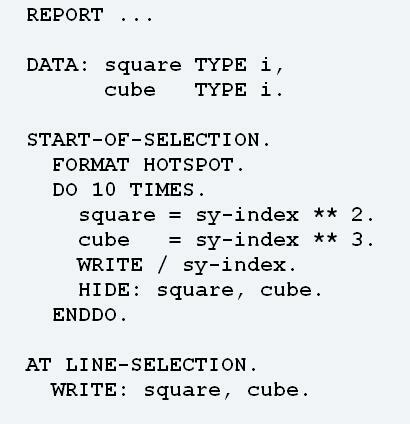 HIDE statement in ABAP programming is used with lists. It used for storing the content of field and list level information of the current list line in a hide area for our later use. This statement will store the content of field <f> along with the current list line number (System field SY­LINNO) in the hide area.